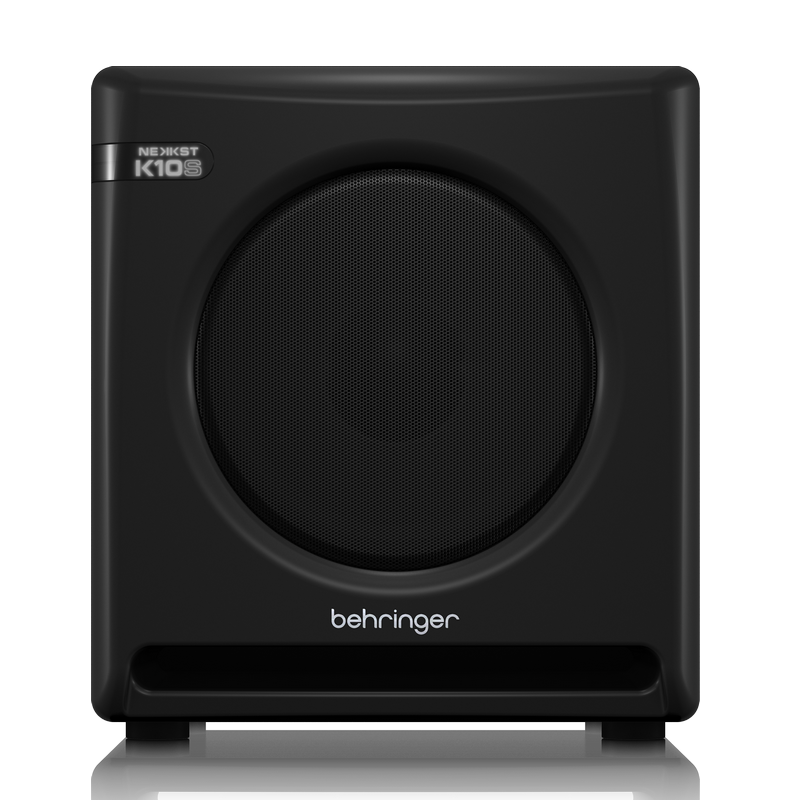 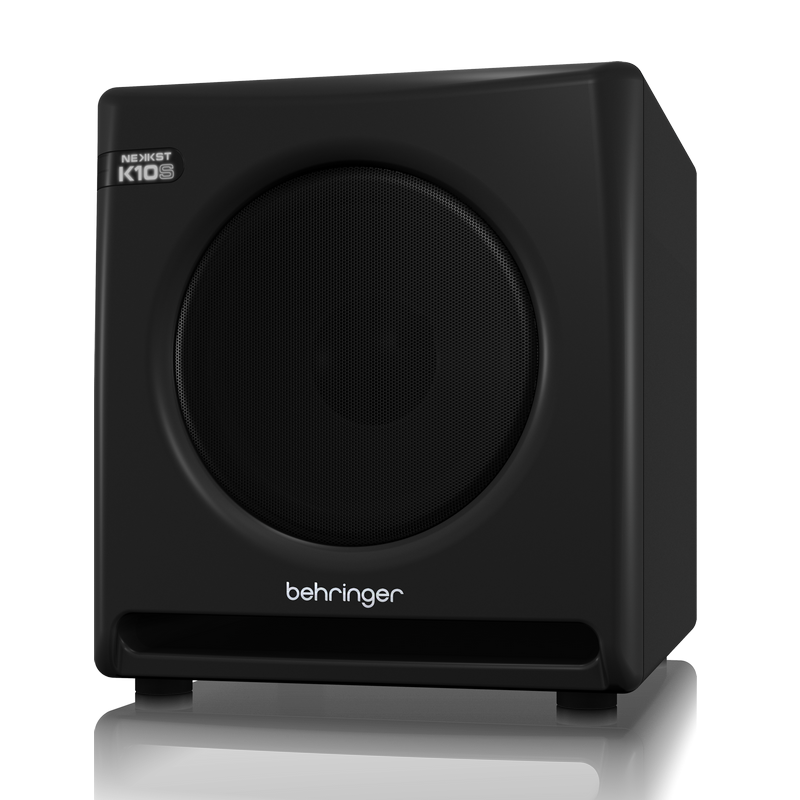 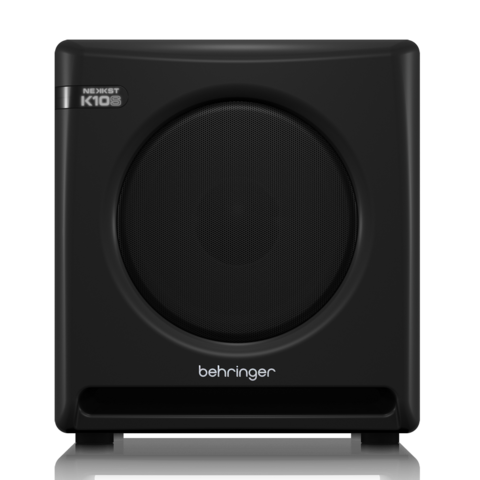 The 300-Watt NEKKST K10S Studio Subwoofer’s unparalleled, world-class performance is the result of a major collaboration between BEHRINGER audio engineers and loudspeaker master-designer/founder of KRK – Keith R. Klawitter. 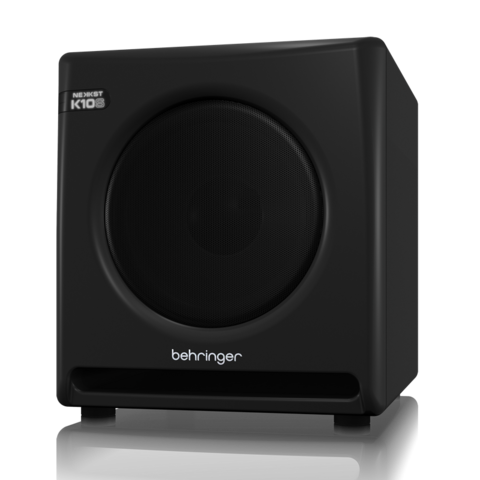 This incredible audiophile-grade subwoofer is ideal for all critical listening environments thanks to the custom-engineered bridge-mode amplifier that drives the 10" glass-fiber woofer for rich, deep and tight bass. 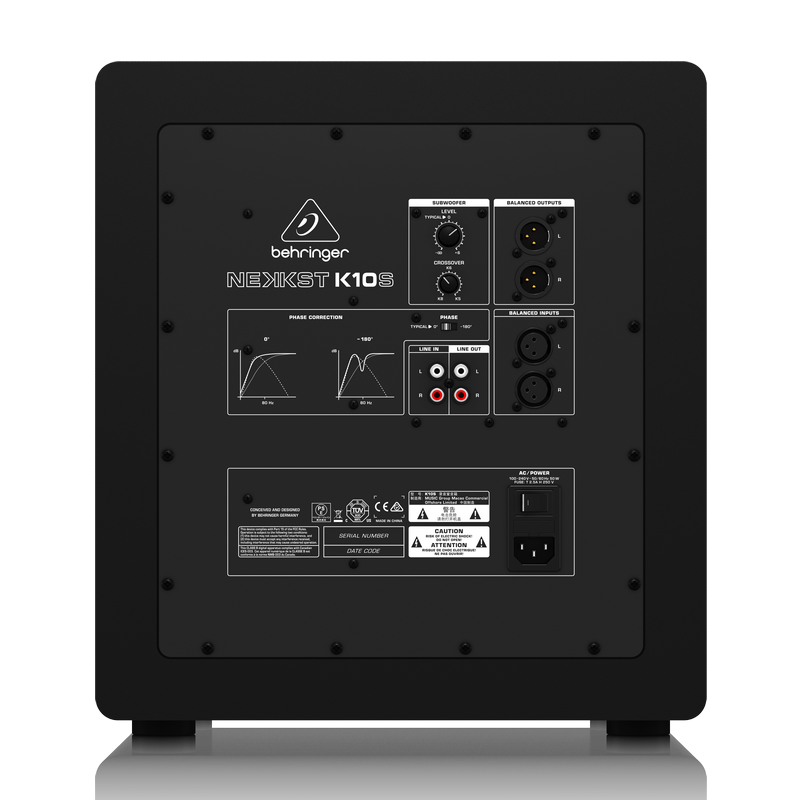 K10S’ front-firing port was designed for the ultimate in low-frequency extension – without the typical boundary coupling and port turbulence found in competing systems. 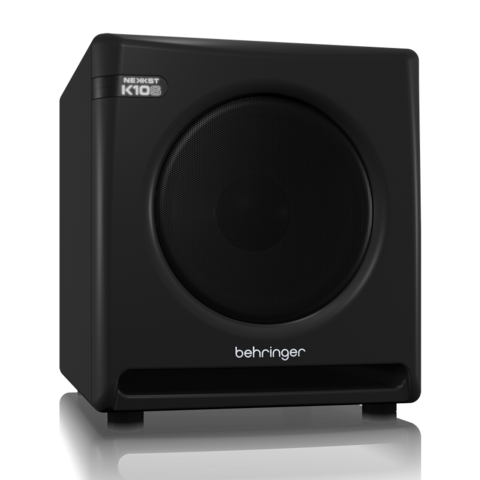 The NEKKST K10S 10" Studio Subwoofer owes its remarkable bass response to Keith Klawitter’s front-firing port and scientifically-curved front baffle design, which provides superb low-frequency extension and amazingly-clean sonic performance. 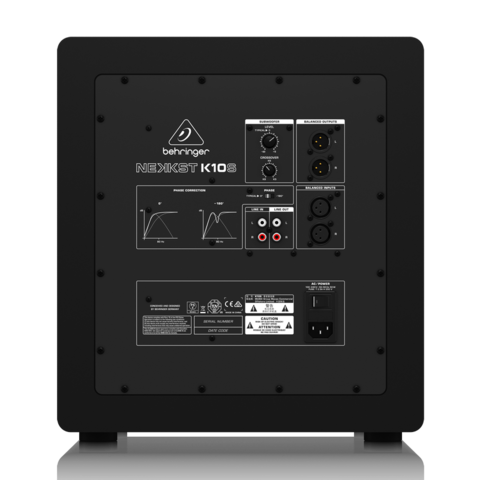 A considerable investment of Keith’s time and research went into perfecting the interplay between the K10S’ woofer and port to maximize efficiency – and minimize the effects of port compression. 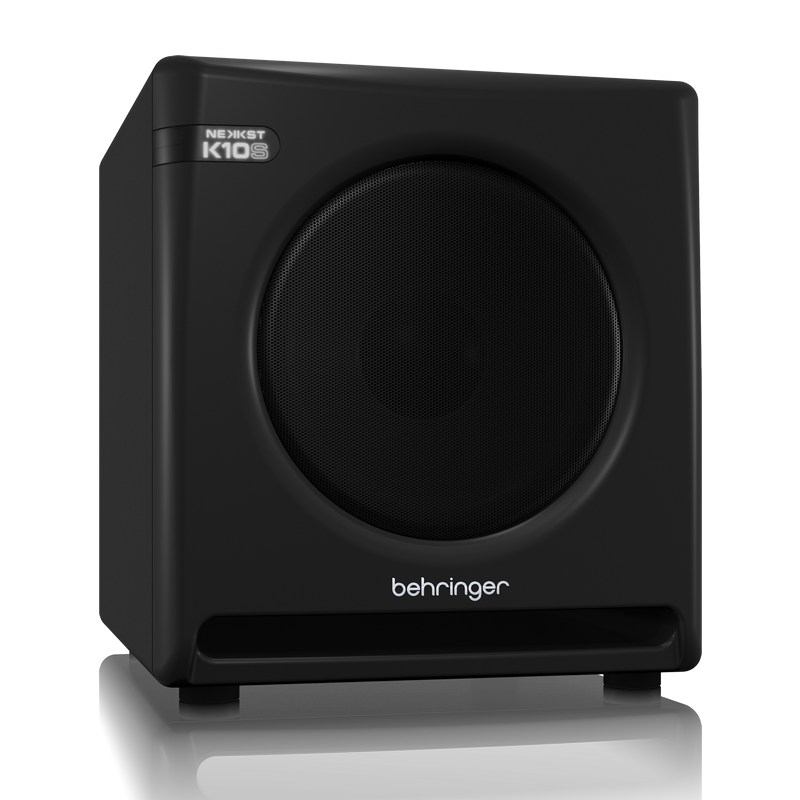 You’ll hear your mix’s low end in a more accurate way, ensuring your music always sounds its best in every listening environment.